Breweries can use two-way radios to improve their creative process. For many of the best breweries, mastering their craft means always pushing themselves — regularly questioning their process, ingredients, and palette to create something new and great. And with autumn in full swing, it’s prime brew season with Oktoberfest seasonals. 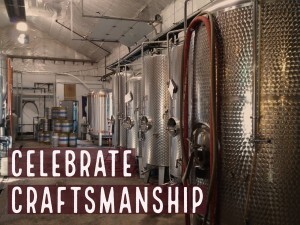 People want to celebrate craftsmanship. So for brewers, it’s important to consider how the team is communicating on the floor, especially when trying to keep at peak efficiency and create the perfect batch. When it comes to effective, reliable and efficient communication, Tech Wholesale can help. Tech Wholesale’s medium duty two-way radios are perfect for the small brewery that wants to stay in touch during their process. When brewers are experimenting with new ingredients, need to be in contact with front-of-house, or when errors occur, two-way radios can streamline efficiency and team communication moving forward. They also save money by preventing wasted resources and mistakes. 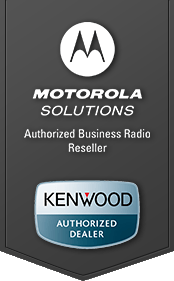 The Motorola CLS1410 is great for breweries and other small businesses that want help in this aspect of their process. This two-way radio sports a user-friendly interface to help businesses increase productivity at an affordable price point. Though it has an outdoor range of up to five miles, it’s best used in indoor warehouses or small businesses. The CLS1410 allows users to communicate clearly across as many as fifteen floors or 200,000 square feet. For small to medium-sized breweries, this is perfect. So the next time your crew finds itself experimenting with a new brew, consider how you’re communicating. Could it be improved? If so, maybe it’s time you invest in a new system. Tech Wholesale even offers free shipping on all online orders. If you have any questions, reach out — we’d love to help.